Senior Daniel Kinch has been named a 2016 Marshall Scholar. He will explore the relationship between physics and math as it applies to string theory when the scholarship takes him to England for two years. Associate Professor Brian Odom will direct the Research Shop, a modernized core facility scheduled to open in summer 2017. Earlier this summer we received the news that CIERA Postdoctoral Fellow Laura Sampson was selected as a 2016 L’Oréal USA For Women in Science Fellow. This is a competitive and prestigious honor, and, we believe the first at Northwestern. Over the last 15 years, Northwestern’s Department of Physics and Astronomy has emerged as a force in the field, with new researchers pushing innovative projects, compelling collaborations and groundbreaking discoveries that have elevated the standing and reach of the department. Graduate student Kyle Kremer created a Solar System Symphony, combining his love of music and physics. Kristian Hahn, Assistant Professor in Physics & Astronomy, has received a $750,000 DOE Early Career Award. His work at the Large Hadron Collider at CERN focuses on the search for dark matter, the material that comprises 85% of the universe. Kevin Kelly has been selected to receive the WCAS Outstanding Student Teaching Award. He was nominated by many students in his sections of Physics 135, Astronomy 101, Astronomy 111, and Astronomy 120, and strongly supported by faculty in the Department. Kevin works with Prof. André de Gouvêa. Jens Koch has been awarded the WCAS Distinguished Teaching Award. Each year Weinberg College recognizes three faculty for excellence in undergraduate teaching. Bennett Goldberg has been appointed Director of the Searle Center and Associate Provost for learning and teaching. He is a Fellow of the American Physical Society and formerly a Professor of Physics at Boston University. He will have a courtesy appointment as a professor in the Department of Physics & Astronomy. Read the Northwestern News article here. Graduate Student Dan Baxter has received an Office of Science Graduate Student Research program award. Supported by this award, Dan will be working at Fermilab for the next year with Hugh Lippincott to study electron recoil backgrounds in a LZ-style Xenon Time Projection Chamber. Dan is in the research group of Eric Dahl. Nate Stern's work on the quantum properties of materials was featured in the 2015 Annual Report from the Office for Research. Read the report here. Prof. Stern is featured on page 47. Yonatan (Yoni) Kahn received the 2016 J.J. and Noriko Sakurai Dissertation Award in Theoretical Physicsfrom the American Physical Society. The award will be made at the Division of Particles and Fields Meeting in Salt Lake City on April 17, 2016. Yoni is a 2009 graduate of the Weinberg College of Arts & Sciences, BA in Physics. His undergraduate research at Northwestern was under the direction of Prof. Michael Schmitt. Kahn's dissertation was with Jesse Thaler at the Massachusetts Institute of Technology, and the APS award cites the work "For proposing a novel method to detect dark photons, for developing halo-independent techniques of direct dark matter detection, and for finding a new viable supersymmetric extension of the standard model." This is the second J.J. and Noriko Sakurai Dissertation Award to go to a Northwestern alumnus in the past five years. The 2014 Award went to Ph.D. graduate Roberto Vega-Morales. 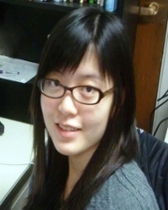 Yang (Angela) Yang received the Student Speaker Award in Statistical and Nonlinear Physics at the APS March Meeting 2016, held in Baltimore, MD. She was selected from the 5 finalists invited to present at the meeting. The award includes a certificate, travel support, and a cash prize. Yang is a PhD Candidate in Prof. Adilson Motter’s group. Her talk at the meeting was titled “Hamiltonian-Based Model to Describe the Nonlinear Physics of Cascading Failures in Power-Grid Networks”. The American Physical Society awarded it's first Medal for Exceptional Achievement in Research to Ed Witten on January 28, 2016. This medal was established through the generosity of Jay and Mary Jayne Jones. Jay graduated with an undergraduate degree in physics in 1948. He is an entrepreneur and founder of the Olympic Medal Corporation. Adilson Motter and Takashi Nishikawa have received a Network Optimized Distributed Energy Systems (NODES) grant from the U.S. Department of Energy’s Advanced Research Projects Agency (ARPA-E) to study power grid architecture related to utilization of renewables. Prof. Motter and Nishikawa are members of the Institute for Sustainability and Energy at Northwestern (ISEN). Read the news release here. Nate Stern's proposal "Multi-Dimensional Control in Laterally Confined Atomically Thin Nanostructures" received funding through the Office of Naval Research's Young Investigator Award. Only 47 investigators received this prestigious early career award nationwide. Read the Northwestern News article here. The Northwestern Chapter of the Society of Physics Students has been recognized by the national organization as the Distinguished SPS Chapter for 2014-15. Our chapter is advised by Art Schmidt. Northwestern scientists Vicky Kalogera,Shane Larson, and Selim Shariar are members of the Laser Inferometer Gravitational-Wave Observatory (LIGO) Scientific Collaboration. Today, the collaboration announced the first detection of ripples in space time known as gravitational waves. Physics major Rebecca Diesing was accepted to the University of Michigan's REU program at CERN. Diesing was nominated by Prof. Mayda Velasco. Using observations by the Hubble Space Telescope, an international research team, Claude-André Faucher-Giguère, Aaron Geller from CIERA, and astronomers from the Kavli Institute for Astronomy and Astrophysics, has for the first time found young populations of stars within globular clusters that have apparently developed courtesy of star-forming gas flowing in from outside of the clusters themselves. The study is published in the January 28 issue of Nature and featured at the Northwestern News Center.